Troy, MI – NAI, a leading manufacturer of global connectivity solutions for high performance systems used in the industrial technology, telecom, data and medical industries, has launched a new Community Outreach initiative on a global scale. Local community engagement is a company-wide value, featured on NAI’s Strategic Architecture model which drives company strategic and tactical initiatives. Supporting the local communities where NAI employees work and live by attending to the unique needs of the communities. Enhancing NAI’s “Employer of Choice” initiatives and continuing to meet more citizens in our local communities. Building an esprit de corps outside of NAI work environments. 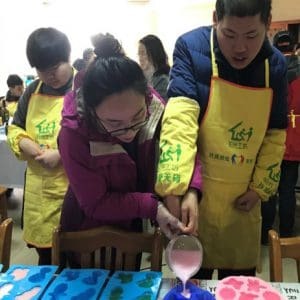 NAI’s “Engaged in Communities” strategy has just recently been initiated in China and Mexico. The Human Resources Dept. at each of the facilities in these regions has been charged with the planning and implementation of the local outreach programs. The new outreach strategy is intended to engage NAI employees in activities that will help and support their local communities. Support activities are focused on a few different local institutions, such as schools and shelters, where assistance from NAI employees is badly needed. All activities are voluntary for NAI employees. 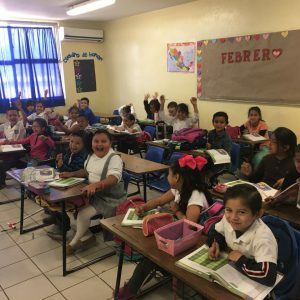 In Hermosillo, Mexico, where NAI operates four of its plants, employees had selected the Manuel Rios y Rios Elementary School in Colonia Villa Hermosa to provide service and support. The initial phase included painting classrooms, doors and fences, the basketball court and ramps for the disabled. They also cleaned the roofs and the football field and did some gardening. Later phases will include additional painting and repair work around the school. NAI employees remodel classroom at elementary school in Hermosillo, Mexico. Another recent initiative that kicked off the Hermosillo Community Outreach Program focused on supporting 36 abused and abandoned children at the Casa Esperanza, located just outside the city. This home for children occupies a 3.5-acre ranch with four houses and a recreation center. A group of 28 NAI employee “sponsors” volunteered to provide gifts, including clothing, footwear, toys and money for the Christmas celebration. Activities included food, a piñata and dessert. “Our activities are meant to support the continuous improvement of our communities. We offer tools that provide for the sustainable development of children and adults,” stated Enrique Tapia, Human Resources Manager at NAI, Hermosillo, Mexico. See the video on the Community Outreach initiatives conducted by employees at NAI’s Hermosillo plants in Mexico. 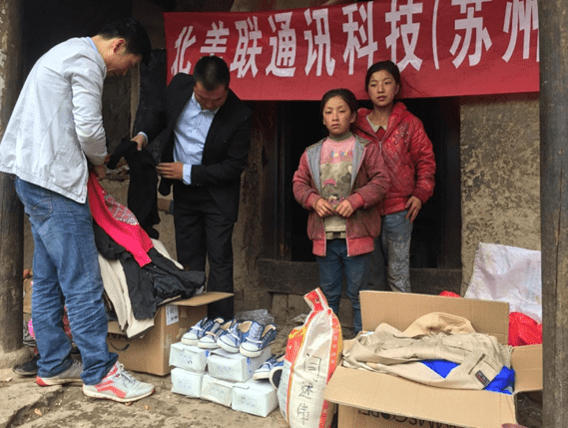 NAI employees in Suzhou, China assist disabled for charity sale.